Welcome ELRC Eye Tracker Users! A STEMEdhub account and eye tracker user group membership are required to access the reservation calendar. 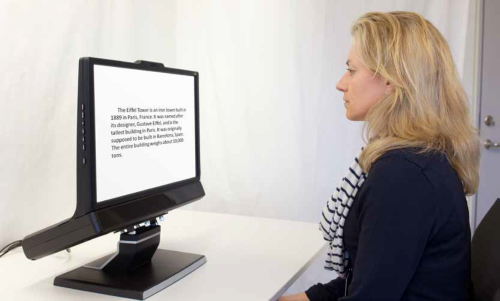 The Evaluation and Learning Research Center offers a non-intrusive Tobii Technology TX300 eye tracking device that is available to researchers free of charge. The eye tracking device provides information about the location, sequence, and duration of a participant’s gaze fixations on stimuli displayed on a computer monitor screen. The Tobii TX300 is capable of measuring gaze location without contact with the participant which allows subjects freedom of head movement. The TX300 is equipped with Tobii Studio 3.3 software which accommodates various multimedia stimuli including images, text, videos, and web pages. The software package provides comprehensive data visualization, statistical metric calculation, and data export features. Orientation is required prior to use of the eye tracker. Orientation is requested via an online form. Purdue researchers may use the eye tracker free of charge. Users and principle investigators must sign an agreement accepting ELRC policies. Reservations are required. Access to the reservation calendar is granted after orientation. Reservation requests are limited to 10 hours per week per project. Longer reservation requests can be reviewed on a case by case basis. The eye tracker is available M-F 8:00 AM to 4:30 PM for use in the BRNG building. Experimental design, implementation, and appropriate IRB are solely the responsibility of the principle investigator and users. Appropriate IRB needs to be secured before bringing in test subjects.